Last week, our staff went to our annual Staff Retreat. We love to take the C3 staff families for a yearly getaway to learn, have fun, dream, set goals, play games, pray together, worship and laugh. This year I taught a session on what the Bible says it takes to be a leader in the church. 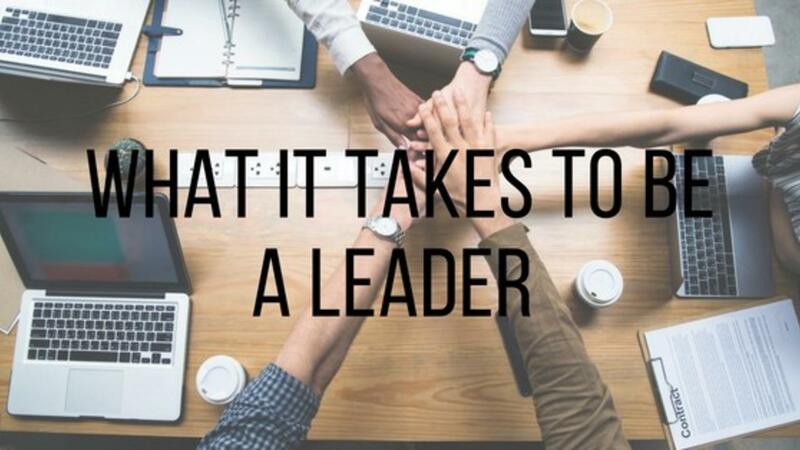 However, as I looked at the things it takes to be a leader in the church, I realized the qualities I listed are qualities every leader should have. I took these leadership qualities from 1 Timothy 3:1-13. I want you to read these verses from the position that God is good, He truly LOVES you, and is for YOU! He gives us these qualities for our good, so we can flourish! If you don't serve on a church staff that's ok, I want you to be empowered to lead in every area of your life! Remember this, even if you're not in a high leadership position, God's given you leadership! Pray, and ask God to show you where you can lead! "If any of you aspires to be an overseer in the church; you have set your heart toward a noble ambition, for the word is true! Yet an elder needs to be one who is without blame before others." He should be one whose heart is for his wife alone and not another woman. He should be recognized as one who is sensible, and well-behaved, and living a disciplined life. He should be a “spiritual shepherd” who has the gift of teaching and is known for his hospitality. He cannot be a drunkard, or someone who lashes out at others, or argumentative, or someone who simply craves more money, but instead, recognized by his gentleness. His heart should be set on guiding his household with wisdom and dignity; bringing up his children to worship with devotion and purity. For if he’s unable to properly lead his own household well, how could he properly lead God’s household? He should not be a new disciple who would be vulnerable to living in the clouds of conceit and fall into pride, making him easy prey for Satan. He should be respected by those who are unbelievers, having a beautiful testimony among them so that he will not fall into the traps of Satan and be disgraced. And in the same way the deacons must be those who are pure and true to their word, not addicted to wine, or with greedy eyes on the contributions. Instead, they must faithfully embrace the mysteries of faith while keeping a clean conscience. And each of them must be found trustworthy according to these standards before they are given the responsibility to minister as servant-leaders without blame. And the women also who serve the church should be dignified, faithful in all things, having their thoughts set on truth, and not known as those who gossip. Now I want you to go through and list the leadership qualities that you notice. After this, circle the ones that are a challenge for you. Which ones are a challenge for you personally, in your family, and in your workplace? Share with us in the comments below one quality you noticed that you feel is important for every leader to have and why.